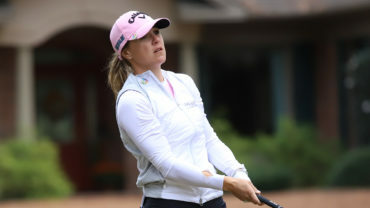 PINEHURST, N.C. – Canada’s Jaclyn Lee had two immediate feelings when a 10-foot birdie putt dropped on the 144th and final hole of the Q-Series LPGA qualifying tournament on Saturday. 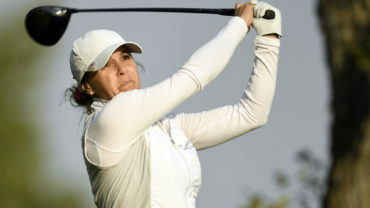 Lee and Anne-Catherine Tanguay of Quebec City both earned LPGA Tour status after easily finishing in the top 45 – the cutoff for a tour card – in the third and final stage of the Q-Series, which started way back on Oct. 24 at Pinehurst No. 6. Lee shot 2-under 70 to finish the eight-round tournament in sixth place at 7 under at Pinehurst Course No. 6. 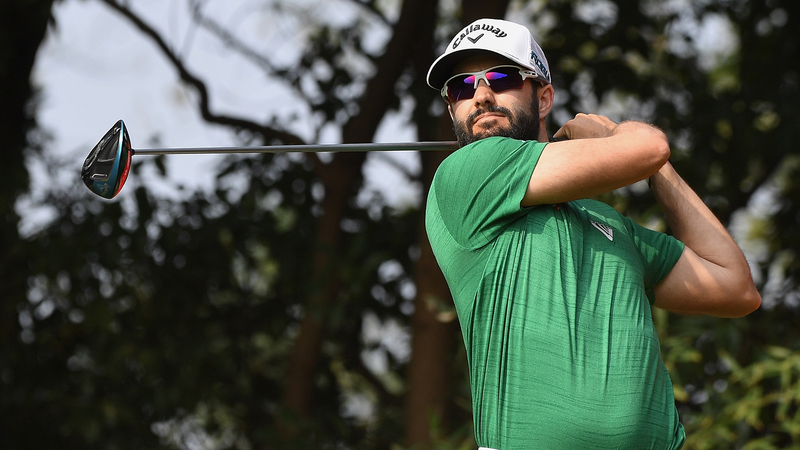 The 27-year-old Tanguay wasn’t far off in a tie for eighth at 4 under. Tanguay – who was on the LPGA Tour this year, but had to return to qualifying school after missing 10 of 17 cuts – shot 74 on Saturday. 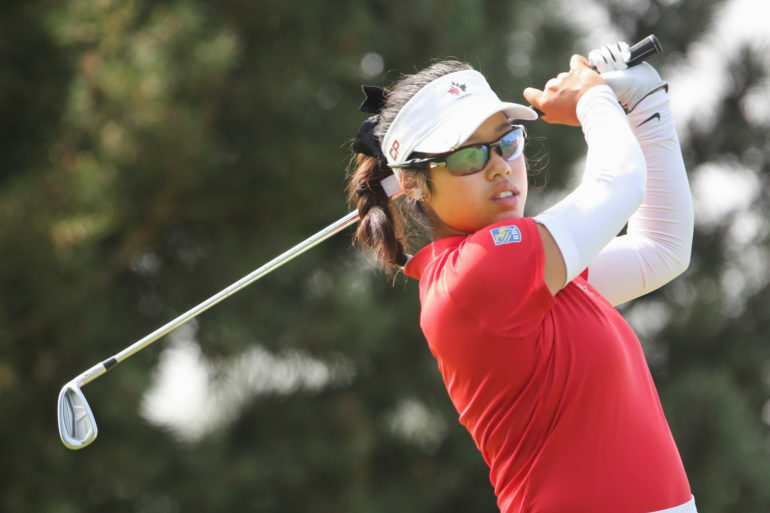 Korean’s Jeongeun Lee6 won the event with a score of 18 under, one stroke ahead of American amateur Jennifer Kupcho. Maude-Aimee Leblanc of Sherbrooke, Que., did not earn status, finishing in a tie for 51st. Lee opened the qualifying tournament with a 68 on Oct. 24 to sit atop the leaderboard. The Canadian national amateur team member shot back-to-back 70s in the second and third rounds and again in the sixth. Lee now has a decision to make. 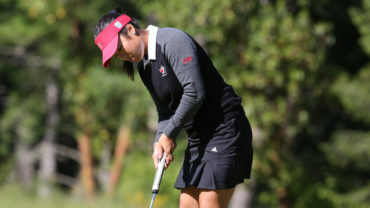 She can maintain her amateur status and finish off her NCAA career at Ohio State before joining the tour on July 1, or she can turn pro to open the 2019 LPGA campaign in January. “I’m really torn between the two,” said Lee, who planned to fly back to Columbus, Ohio on Sunday after a celebration with friends and family in Raleigh, N.C., on Saturday night. “There’s pros and cons to both. I have to make my list. Lee has had a strong year, reaching the semifinals of the British Amateur and the quarterfinals of the U.S. Amateur. She also made the cut at the Meijer LPGA Championship. Lee made it through all three stages of the Q-Series, unlike many of her competitors who got to enter at a later stage.